What type of programming do you want more of from Rainier? Take our poll. Rainier Satellite values your input. We need to know what kind of programming you’d like to see more of on our C band platform. Choose all choices that apply. This poll runs till February 14, 2019. ITS VOTING TIME, PLEASE VOTE! What kind of programming do yo want to see more of with Rainier? Your input counts. 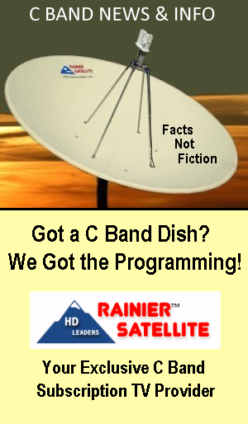 Rainier wants to build the best big dish service just for you. This can be accomplished with great feedback. We listen. Please participate. Posted on January 19, 2019 January 19, 2019 Author rainiergroupCategories Rainier NewsTags 4DTV, Big Dish Programming, c band, cable tv, satellite receiver, satellite tv programmingLeave a comment on What type of programming do you want more of from Rainier? Take our poll. New Tuned Feed / Dual LNB Package… This Combo Beats Them All! Fine Tuned Feedhorn / Dual LNB Package. Upgrade your LNB & Feed to the Best Combo Today! NJR LNB’s offer Improved Performance over Norsats and others. Harvard Scientific Tuned Feed for High Gain. Posted on February 11, 2017 February 13, 2017 Author rainiergroupCategories Rainier NewsTags c band, C1PLL, C2PLL, Feedhorn, fta, HyperMegaSat, lnb, NJR, rainier satellite, Ricks Satellite, Satellite Guys, satellite programming, skyexpress, Skyvision, tek2000, Titanium Satellite, TVROSAT, Upgrade your DishLeave a comment on New Tuned Feed / Dual LNB Package… This Combo Beats Them All! Questions answered about your New Rainier Receiver. Q: My new D9865 Receiver I ordered showed up today, what do I do next? A: First your receiver needs to be hooked up to your dish. There are two options to hook it up. 1) (Master Operation using ortho feed) Connect Horizontal LNB to port 1 and Vertical LNB to port 2 on our DISEQC switch order here. Connect Output to LNB in on D9865 receiver. 2) (Slave Operation using Servo Feed and 4DTV or Analog Master receiver) Using our Slave Kit order here connect using this diagram. Connect the HDMI or other connection to your TV. Plug in and power on receiver. Next you need to program your receiver. You will need to Download our Quick Tips Startup Guide and follow the directions. If you ordered our Optional Data Preload service your receiver will have many channels already programmed in. You can add more or new channels by following the directions watching our video here. Once you have channel groups programmed in and receiving a lock condition you can start enjoying your new receiver. FTA channels can be enjoyed right away. To authorize your Rainier Satellite Subscription TV package (if ordered) you need to follow the steps here. Answers to signal reception problems and many other questions can be found at our Customer Information Center Database Here. Please consult our CIC database library first before calling technical support, many questions can be answered there. If you need additional help contact our tech support phone center at 509 477-9270. 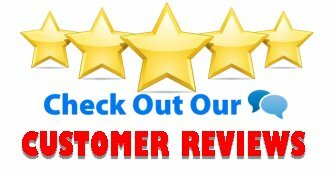 Posted on November 22, 2016 November 22, 2016 Author rainiergroupCategories Rainier News, Satellite Technical GeneralTags c band, C band programming, D9865, HDTV receiver setup, rainier satelliteLeave a comment on Questions answered about your New Rainier Receiver.